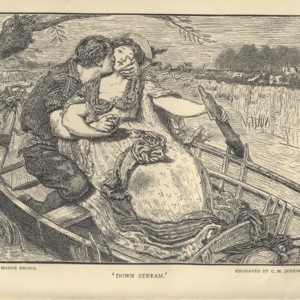 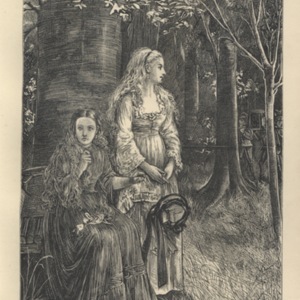 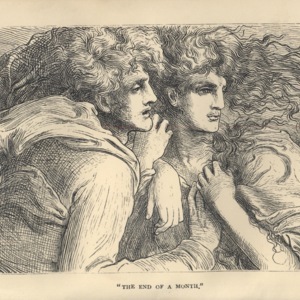 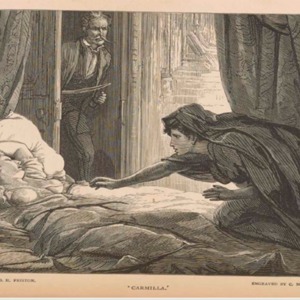 Illustration from J. Sheridan Le Fanu's "Carmilla"
An embedded narrative, General Spielsdorf recounts finding Carmilla, then known as Millarca, attacking his niece. 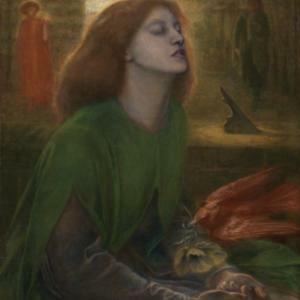 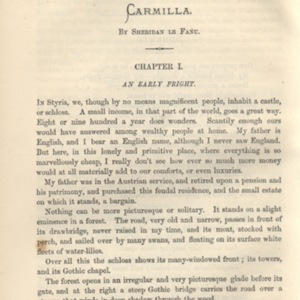 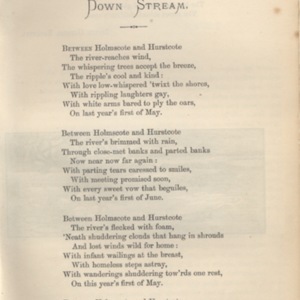 Laura and Carmilla encounter the funeral procession of a young village girl. 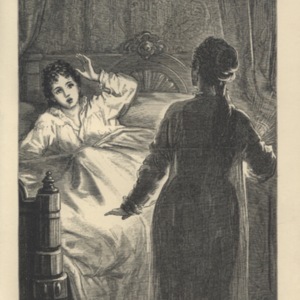 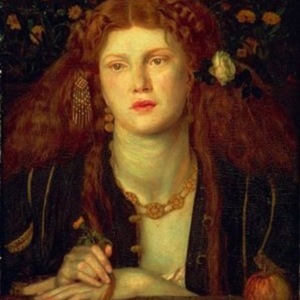 Laura wakes in the middle of the night to find Carmilla standing at the foot of her bed.